Ten Ten Pie in Portland. 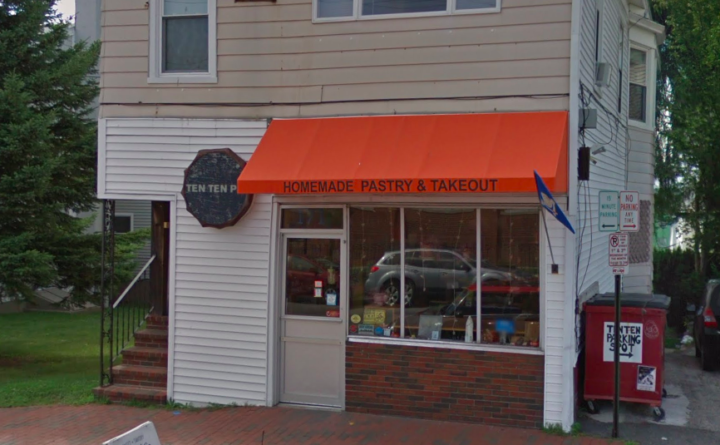 Portland pastry shop and neighborhood store Ten Ten Pié has closed after nearly five years in business, co-owner Markos Miller said in an Instagram post. Miller, a former Deering High School teacher who ran for Portland mayor in 2011, opened Ten Ten on Cumberland Avenue with pastry chef Atsuko Fujimoto in August of 2014. The shop was known for its international styles of pastries. Ten Ten received a shoutout by Bon Appetit when the food magazine named Portland its City of the Year for 2018. Andrew Knowlton wrote for Bon Appetit that Ten Ten was hard to define, but special. “Ask yourself: What is Ten Ten Pié? A French bakery? Japanese market? Bento box cafe? It doesn’t matter — I’m a fan of baker Atsuko Fujimoto (that rhubarb tart!) and Markos Miller’s eclectic general store, whatever it is,” he wrote. Miller finished seventh out of 15 candidates for mayor as a political newcomer in 2011, when the city held its first public vote for the position in nearly nine decades.